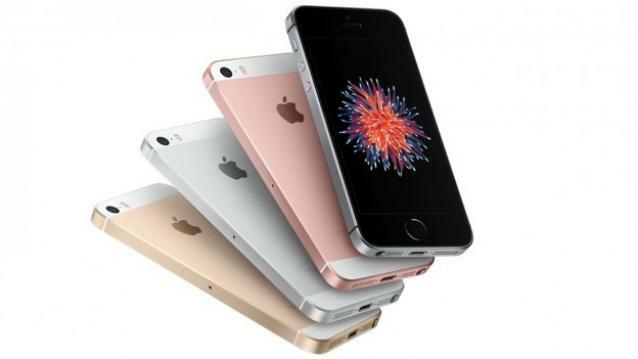 After a not so grand launch, Apple’s pricey new iPhone 5s look-a-like, the iPhone SE will come to India on April 8. The news comes from one of the distributors going by the name of Beetel Teletech Limited. The distributor, who is a part of a global distribution firm Brightstar said that it would begin selling the Apple iPhone SE at 3500 retail outlets in India starting April 8. In India, Apple announced that the official retail price would be Rs 39,000 for the 16GB variant. It will come in four colours such as silver, gold, Space Grey and Rose Gold. The Apple iPhone SE is the new 4-inch iPhone since the iPhone 5s/5c that were launched in 2013. According to Apple, it had sold close to 1 million 4-inch iPhones in 2015 and it was still a popular form factor for a lot of people around the world, especially in China. While the pricing of the iPhone SE indeed seems lower than the usual (for Apple) most manufacturers will not be too worried. In fact many would be happier to see Apple push for the mid-range segment, meaning that there will now be plenty of competition and innovation taking place out there as well. Anshul Gupta, Research Director at Gartner commented, “iPhone SE will help Apple broaden their market segment. Users will be able to buy a phone with latest features which is very different from buying an older version at lower price. I think this will appeal more people to buy an Apple phone who otherwise couldn’t afford their flagship phone. This will make market more competitive at that price point as Apple is preparing to take more share.”. Things may be looking up for Apple, though the iPhone SE looks a lot like the iPhone 5, a design that is more than three years old now. Still then, Apple seems to have packed in plenty of power with an updated camera and the latest chipset (A9) that should make the smartphone a pleasure to use, especially for those who have been craving for a smaller iPhone. The new iPhone SE comes with a 4-inch Retina display (1136 x 640 pixels) giving it a pixel density of 326ppi. On the inside, Apple has put in an A9 chip with 64-bit architecture and it has an embedded M9 motion co-processor. In the camera department, the iPhone SE gets the best from Apple – a 12MP iSight rear camera with an f/2.2 aperture along with support for Live photos. On the front, you get a 1.2MP camera with an f/2.4 aperture and HD recording capability. USB inventor Ajay Bhatt did not earn a single penny from it!